Utsunomiya (宇都宮市, Utsunomiya-shi, [ɯᵝt͡sɯ̃ᵝno̞mija̠]) is the capital and largest city of Tochigi Prefecture, in the northern Kantō region of Japan. As of May 2015, the city had an estimated population of 518,200 and a population density of 1240 persons per km². Its total area was 416.85 km². Utsunomiya is famous for its gyoza (pan fried dumplings). There are more than two hundred gyoza restaurants in Utsunomiya. Greater Utsunomiya (宇都宮都市圏, Utsunomiya Toshi-ken) had a population of 888,005 in the 2000 Census. The nearby city of Oyama is included in Greater Tokyo, but Greater Utsunomiya is not, despite the two areas amalgamating somewhat. It is the 10th most populated city in the Kanto region. Archaeologists have uncovered evidence that the area of Utsunomiya has been continuously settled since the Japanese Paleolithic period onwards, and numerous burial mounds from the Kofun period are found within its borders. The Utsunomiya Futarayama Shrine (宇都宮二荒山神社), which is the Ichinomiya of Shimotsuke Province claims to have been founded in 353 AD. The town of Utsunomiya developed around this shrine, and the area was under the control of the Utsunomiya clan, an offshoot of the Fujiwara clan from the Heian through Sengoku periods, and was destroyed by Toyotomi Hideyoshi. During the Edo period, the Utsunomiya area was ruled by a succession of daimyō clans under Utsunomiya Domain, and prospered from its location at the junction of the Nikkō Kaidō and the Ōshū Kaidō. During the Bakumatsu period Boshin War, the Battle of Utsunomiya Castle was a major conflict in the northern Kanto area. Following the Meiji restoration, Utsunomiya was briefly (1871–1873) part of Utsunomiya Prefecture, which was then merged into the new Tochigi Prefecture, and became capital of the prefecture in 1884. Utsunomiya became an important garrison for the Imperial Japanese Army. With the establishment of the municipalities system on April 1, 1889, the town of Utsunomiya was officially established. At the end of the 1889, Utsunomiya had a population of 30,698 making it the third most populous municipality in the Kanto area, after Tokyo and Yokohama. Utsunomiya was raised to city status on April 1, 1896. On July 12, 1945 much of Utsunomiya and the surrounding areas were destroyed in the American Bombing of Utsunomiya during World War II. The city limits were expanded from 1951 to 1955 by annexing neighboring Suzumenomiya town and Hiraishi, Yokokawa, Mizuhono, Kunimoto, Shiroyama, Tomiya, Toyosato, and Sugatagawa villages and the part of Shinoi village from Kawachi District and Kiyohara village from Haga District. 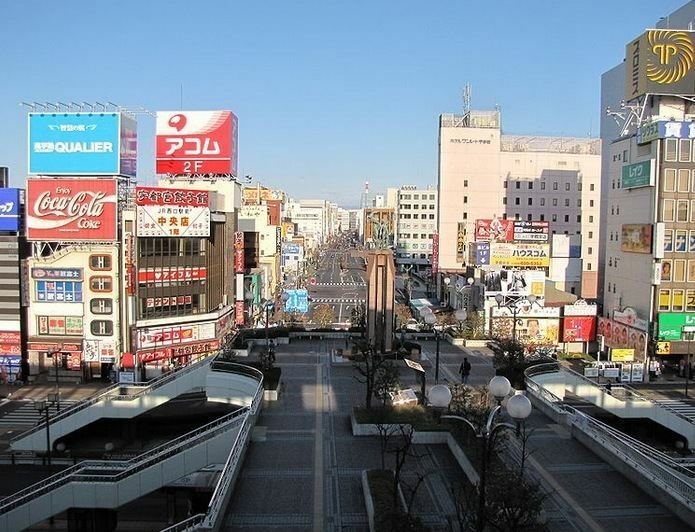 In 1996, Utsunomiya was designated a core city within increased autonomy. 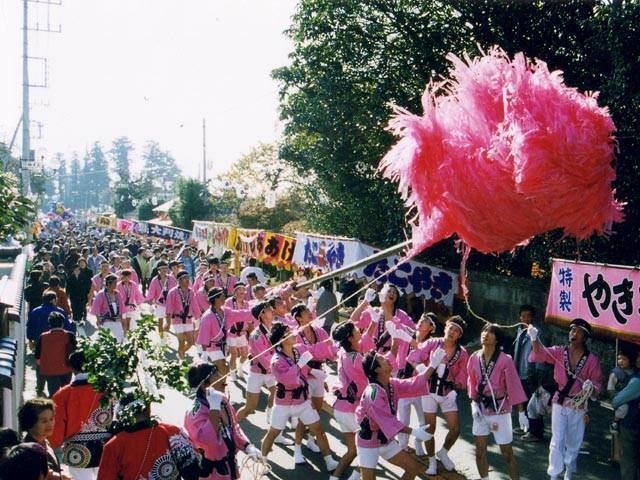 On March 31, 2007, Utsunomiya absorbed the towns of Kamikawachi and Kawachi (both from Kawachi District), pushing the population of Utsunomiya City over 500,000. Following the Second World War, Japanese soldiers who returned from Manchuria brought home to Utsunomiya gyoza recipes which originated from China. Soon after, the soldiers began to open dumpling (gyoza) restaurants around Utsunomiya. After the Utsunomiya city officials started to apprehend the gyoza popularity in 1990, the Utsunomiya Gyoza Association was created. The creation of this association only grew the gyoza's popularity in the city. The gyoza's popularity attracts many tourists, as well as brings in a significant amount of revenue into the city. The city has 30 restaurants that specialize in serving gyoza. Utsunomiya is allegedly the highest consumer city of gyoza in Japan. There is also a 1.5 meter statue in the shape of the gyoza outside of Utsunomiya’s JR station. 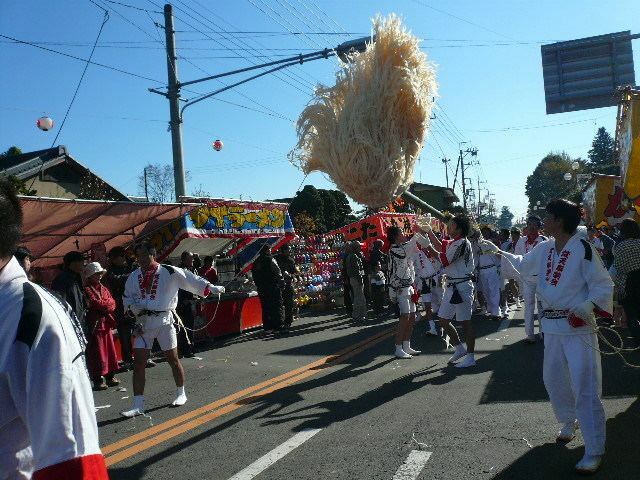 Utsunomiya’s annual Gyoza Dumplings Festival occurs at the Castle Ruins Park. Visitors are able to taste different types of gyozas served by various gyoza-making restaurants. Festival-attendees can also watch various bands and comedians nearby the festival grounds. Utsunomiya is located in south-central Tochigi Prefecture in the northern Kantō plains. It is approximately 100 km north of Tokyo. The historic town of Nikkō is approximately 25 km northwest of Utsunomiya. The average altitude of the city is 100 meters. Utsunomiya has a humid subtropical climate (Köppen climate classification Cfa) with hot and humid summers and cool winters. Precipitation is heavy in the summer wet season, especially from July to September, and it is noticeably drier in the winter months from December to February. Utsunomiya is the commercial and industrial center of Tochigi Prefecture. Utsunomiya is home to a Canon optical manufacturing plant, a Japan Tobacco plant, Honda design centers, and various other industrial concerns in the Kiyohara Industrial Park. In addition, one of the largest malls in the north Kantō region, Bell Mall is located near central Utsunomiya. Utsunomiya has 70 elementary schools, 31 junior high schools, and 17 high schools. Utsunomiya is served by the high-speed Tohoku Shinkansen line from Tokyo, as well as a number of suburban lines operated by East Japan Railway Company (JR East) and the private railway operator Tobu Railway. Construction of a Light Rapid Transit system is planned, with completion scheduled for December 2019. Ōya-ji – a Buddhist temple including a museum with artifacts dating back to the Jōmon Period. Utsunomiya is represented in the J. League of football with its local club Tochigi S.C..
Utsunomiya Velodrome - Utsunomiya is the host city of the Japan Cup, a UCI sanctioned cycling race, held on October 20 and 21, 2012.